The final week of school for 2018 has been a reflective time in each of the Junior, Middle and Senior Schools. With the One College changes ahead, we have had the chance this week to look back. 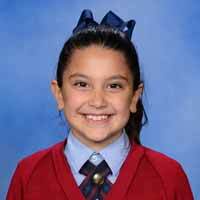 We leave the Bicentennial Drive Campus knowing the culture and sense of community, so evident in the Junior School, are the key things that must make the 3-kilometre journey. We celebrate having new buildings, playgrounds and sport centre but most importantly we want to keep the care, support and sense of family. 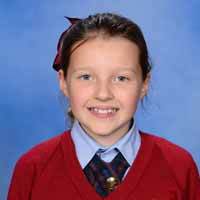 As I have mentioned before, the Middle and Senior students are really looking forward to having younger students to guide, support and be friends with. Our aim is to create an even more inclusive and supportive Reception to Year 12 experience for students. 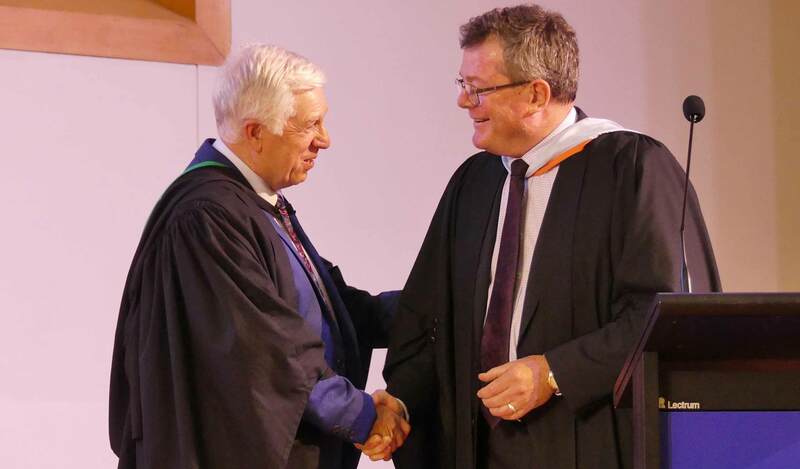 In the Middle and Senior Schools, we have reflected on the 33 years of service and commitment of retiring Foundation staff member Mr Lindsay Jackson. It has been wonderful to hear Lindsay’s thoughts about what makes Pedare a special place for students, parents and staff members. At each of the Middle and Senior Thanksgiving Services, the community has so warmly expressed its gratitude to Lindsay. As he has recessed for the last time, the community has stood and applauded him very warmly. I know Lindsay has been deeply touched by this spontaneous expression of thanks and best wishes for his retirement. I wish all members of the Pedare community a happy, safe and blessed Christmas. We return in the New Year with great anticipation for the One College opportunities ahead. Over the last term, our staff have been engaged in the complex professional process of class allocations as they consider the best placement for every student in their care. This exercise has now concluded and involved the evaluation of the social, emotional and academic needs of every child, and draws on their extensive knowledge of and close connection with their students. Our specialist teachers have also been involved in this process to ensure we have considered all aspects of learning and well-being. Thank you for your continued trust to make these decisions in the best interest of every child. Our ‘move up’ day, where the children met their teacher(s) for next year was a great success and I hope has assisted both the children and their teachers to start building those all-important relationships. We are excited to confirm our teacher placements for 2019. We provide a high standard of teaching excellence in the Junior School, and new members to the team have been selected following a rigorous process to ensure your children experience the best, so they can be their best. We are thrilled that Miss Sarah Davis, Miss Simara Conroy and Mrs Rebecca Andary join our classroom teaching ranks along with Mrs Amy Agnew, Coordinator of LEAP and Mrs Paula Hanna, new Assistant Head of Junior School, join us in these pivotal leadership roles. 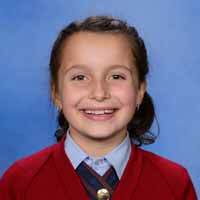 As this is my final newsletter for the year, I would like to take this opportunity to commend the Junior School staff. I have thoroughly enjoyed working alongside them as they craft rich and engaging learning experiences aimed at developing the whole child. Pedare is a special place, with a strong and connected community and it has been an honour to be a part of the journey with your children this year. Parents and grandparents are such an important part of the fabric of school life and your support has been greatly appreciated. I would like to wish Mrs Melissa Clifton, Mrs Julie Bruce, Mrs Joy Ey, Mrs Heather Bennett, Mrs Jenna Petkovic (Leave of 2019) and Mrs Clare Piercey all the very best with their new adventures in 2019 and thank them for their care and service to the many children and families at Pedare. In closing, we are in our last days on the Bicentennial Drive site. This change is significant I, along with the staff, are committed to keeping and building our culture of care and excellence. Whilst we may move physically, I know our community and the culture we have and treasure will be the same because it’s not the bricks and mortar that makes a community but it is you; you the students, families and staff. 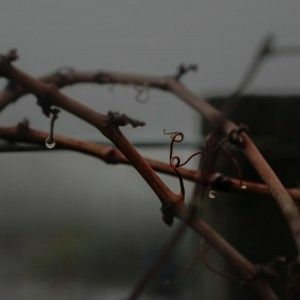 So, in 2019 we all move to new beginnings and exciting possibilities and will continue to do what we do best ……. grow and develop young minds. Wishing all our community a blessed and safe Christmas see you again in 2019. 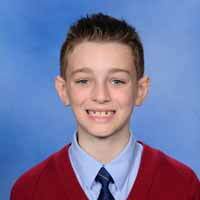 In my final Vine article for 2019 and last one as the Head of Middle School, I would like to take this opportunity to thank the Pedare Community for their support over the past two years. It only seems like yesterday I was stepping into the role and beginning a new journey. Now, as I move into the Deputy Principal, Head of Senior School role, I am excited about the year ahead and all the positive change that is taking place. 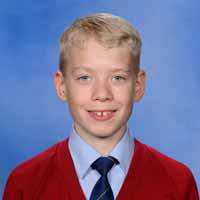 I look back with pride at all our Middle School students and the journey they have taken. 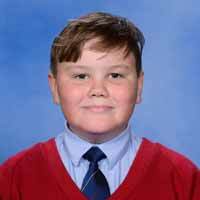 In the years to come, I look forward to seeing their smiling faces reappear in the Senior School. The Middle School at Pedare is a wonderfully nurturing place where students are challenged to achieve and grow into responsible citizens. Every Middle School student has their challenges along the way, but I have thoroughly enjoyed getting to know all the students and helping them find the best version of themselves. Our Core teachers do an outstanding job of supporting the needs of each and every student in their classrooms. This is reflected when students talk about the positive relationship their Core teacher has and how they have helped them develop in their learning throughout the year. Thank you to all the staff in the Middle School for their ongoing commitment to helping our students grow and develop their talents. I thank all the parents also for trusting Pedare Christian College to educate your children. It is a privilege that we do not take lightly and know that we are always looking for ways to improve what we offer to our community. 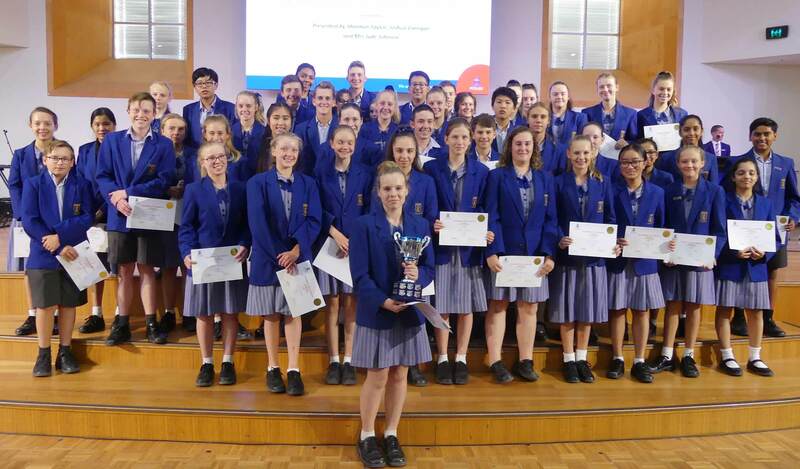 Congratulations to our VEX IQ team and VEX IDR teams that competed in Melbourne in the VEX Robotics National competition. 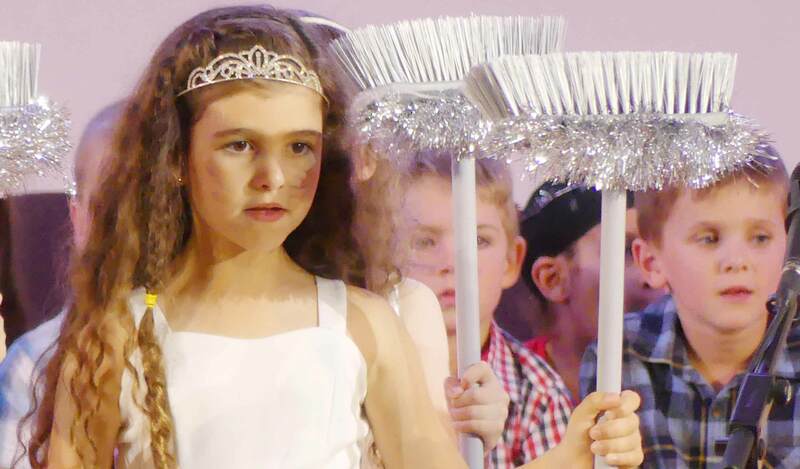 A team of 16 students and 2 staff attended the event and our team performed outstandingly well for their first ever time. Our Vex IQ team was awarded the Build award which was fantastic, and the College was awarded the Educate award for implementing VEX robotics into our school. 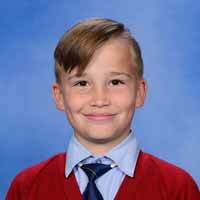 Mr Emil Zankov is certainly inspiring the next generation of digital natives! Finally, I would like to take this opportunity to wish all the students and their families a very Merry Christmas and a restful new year. 2019 is going to be a year of change and we will be ready for all that comes with it. Further to earlier communication, a detailed plan of the first weeks of school will be sent out once it is available. This will include classroom placement for students as we wait for the new Middle School buildings to be completed. We are hoping for a mild summer break so the builders can continue to work on all our buildings. I look forward to seeing you all in the new year! It is with pride and gratitude that I sign off as Head of Senior School. 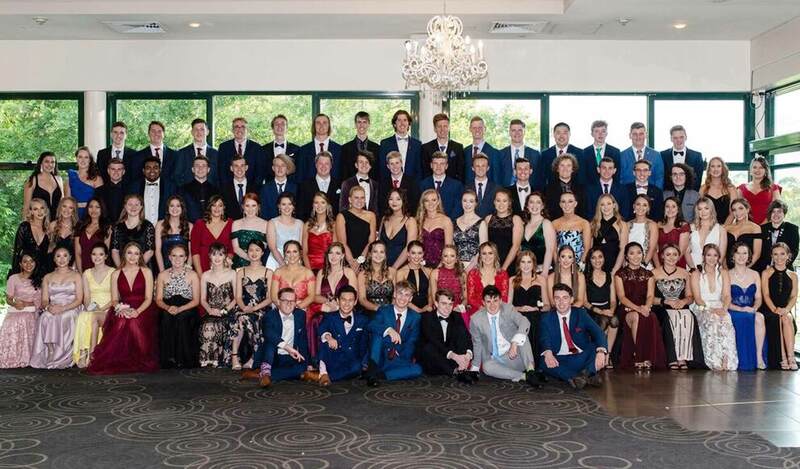 There have been many instances throughout the year that have caused me to be proud of our students; none more so than the recent Year 12 Formal held at Sfera’s on the Park. Once again the students looked splendid; and it is a lovely tradition to be able to share the first hour with family and friends. More than three hundred of us mingled prior to the dinner. It was especially lovely to meet one elderly gentleman who was not only enjoying the occasion but also his 92nd birthday. 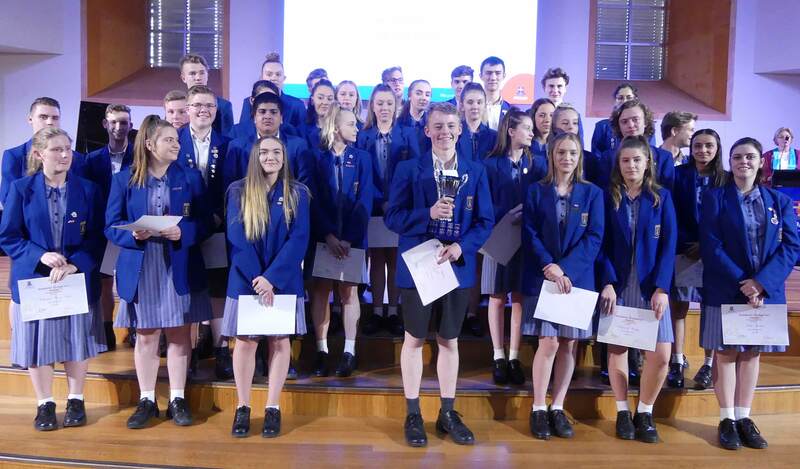 The Class of 2018 celebrated in the same manner as they have conducted themselves as a group throughout the year; with good humour, enthusiasm and genuine affection for one another. The display of photographs chronicling their time together from Reception until Year 12, so ably put together by Michelle Mooney, provided a colourful backdrop to the evening. The awards given out were both insightful and entertaining; and the Valedictorian, Cooper Rowberry, spoke with passion and sincerity as he summed up their time together and their aspirations for the future. 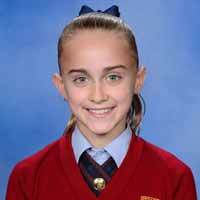 It was also an opportunity to congratulate Stephanie Milanowski, please click here to read more about Stephanie’s achievement. Mr Lindsay Jackson, as the guest speaker, shared his memories of important world events within his lifetime and that of the students; two of whom will be looking forward to a lunch with himself and Mrs Jackson, as the prize to a challenge he offered. There was much singing and dancing, including an erratically led conga line. As always, it was a lovely way to end what has been a typically challenging year for anyone who has experienced Year 12 will testify. This event was then closely followed by the Senior School Thanksgiving Service, please click here for more information about this service. It has been a wonderful privilege to work with our Senior School staff, students, and their families over many years and I look forward to continuing to do so; but within the classroom and as a Home Group teacher. 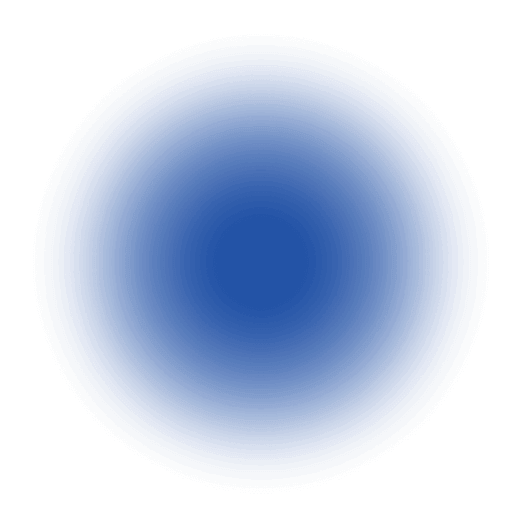 The wheel has turned full circle and I am back in a similar role to that which I had when I first began at Pedare. I very much look forward to the leadership of Mr Andrew Whiteman as, together with Ms Jan Robertson and Mrs Debbie Hollister, they take the Senior School into the years ahead. I wish all Senior School families every blessing for a very Happy Christmas with your loved ones; and for a safe and relaxing break before we return in 2019 for what promises to be an exciting new chapter in the life of the College. 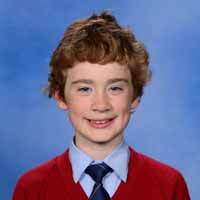 This year, as with every year, the graduating Year 12s present the College with a gift. 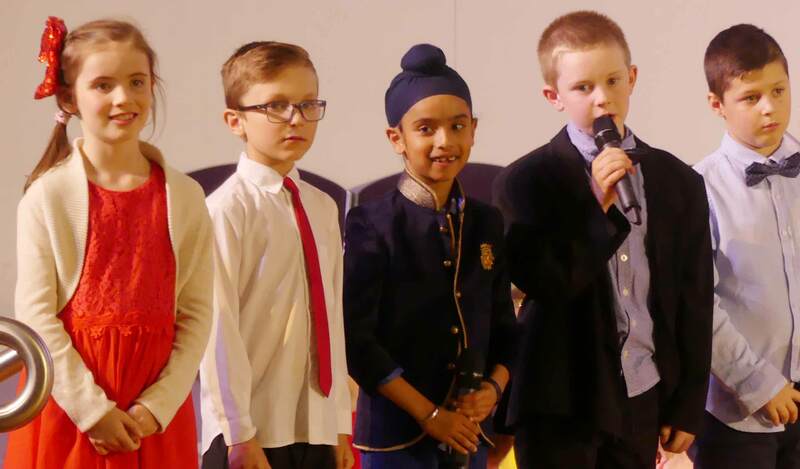 This is in appreciation and recognition of the opportunities and experiences for learning and personal growth students have been given during their time at Pedare. 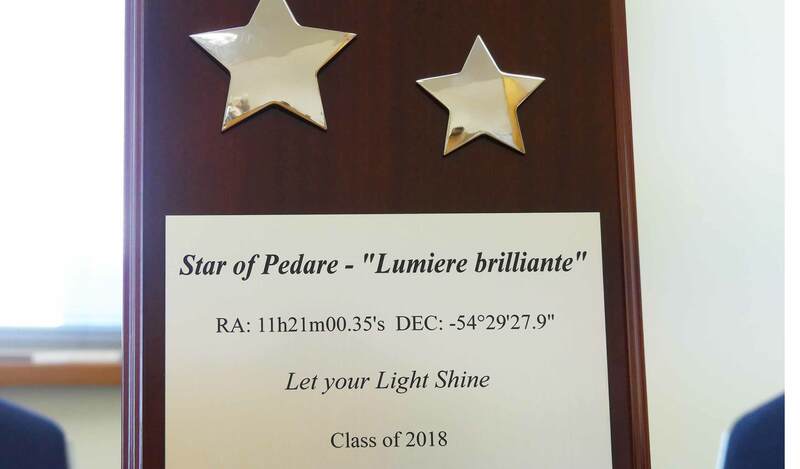 The Class of 2018 has given the College a star they purchased and named, Lumiere brillante, meaning ‘shining light’. As well as the star, Aspen Palmer and Cooper Rowberry, on behalf of the Class of 2018, presented the College with a plaque, with the star’s coordinates on it, to be hung in the new buildings. This is a thoughtful and unique gift from the Class of 2018 that will serve as a fond reminder of this wonderful group of young women and men for years to come. 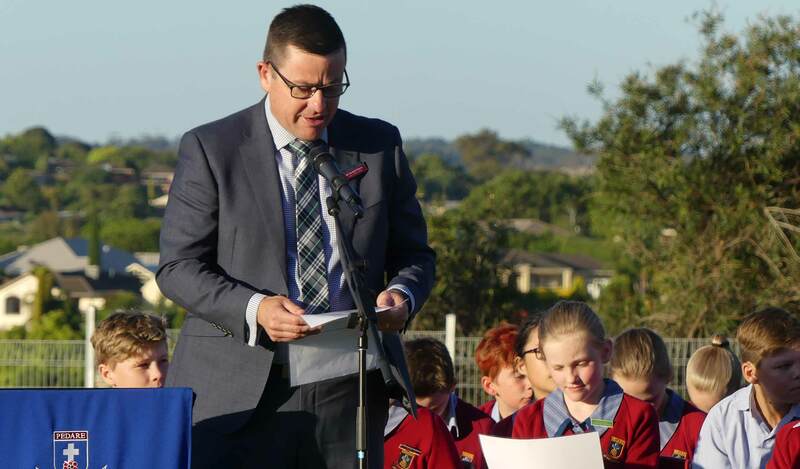 This year, the Junior School Thanksgiving service was held on Friday 23 November on the oval and combined with the end of the Bicentennial Drive campus celebration. 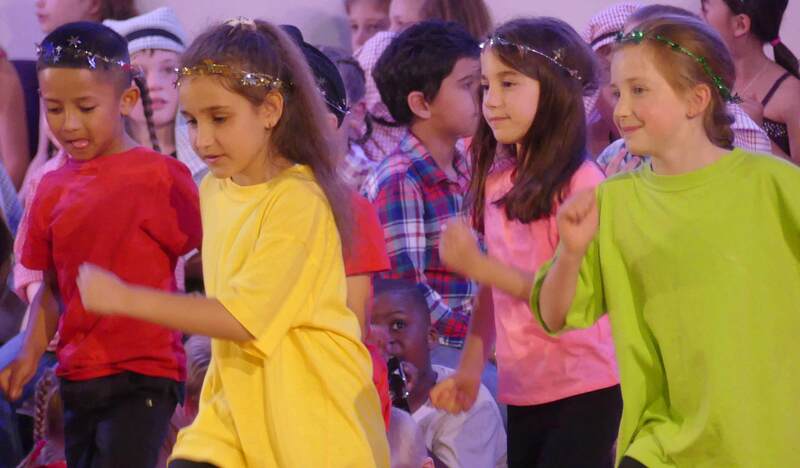 This was a full day of events which included Sports Day, Thanksgiving, Family Picnic, a Movie and ending the evening with a spectacular fireworks display. Among the special guests who attended the service, was Ms Claire Hansen, founding Head of Junior School and Mrs Gemma D’Angelo who was Claire’s replacement after she left the school. The 2019 Captains were also announced and congratulated by the school community. 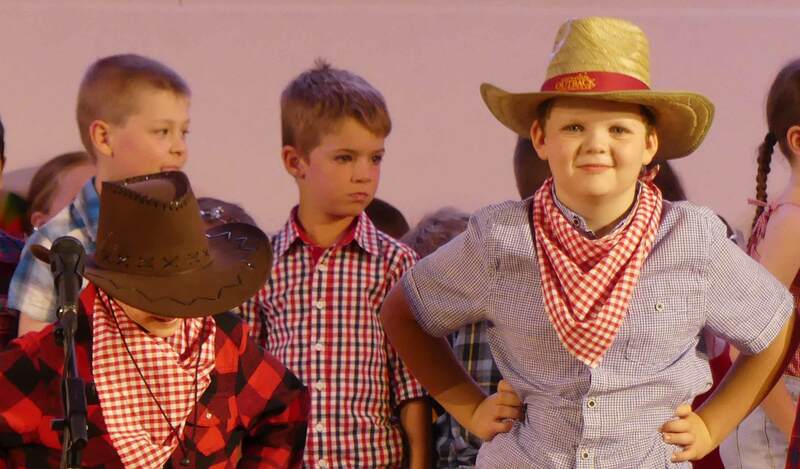 A highlight of the Thanksgiving service was when all Junior School students turned to face family and friends and sung a great rendition of the song ‘You’ve got a Friend in Me,’ much to the delight of the audience. 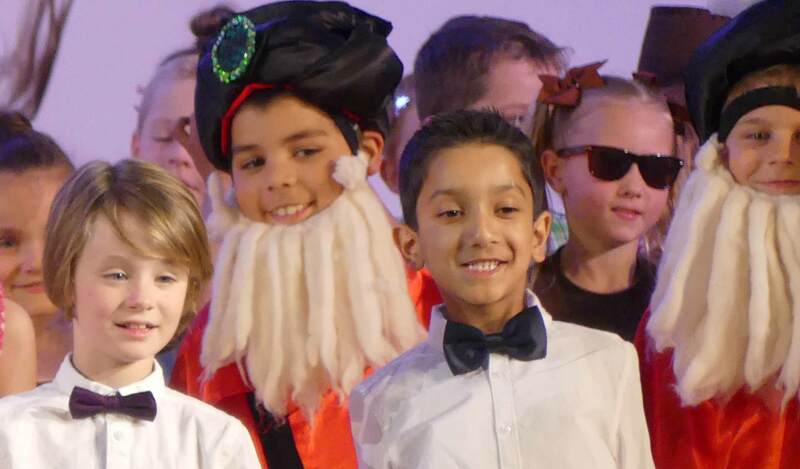 On 6 December, the Middle School celebrated their Thanksgiving with an afternoon of great performances by Year 6, 7, 8 and 9. 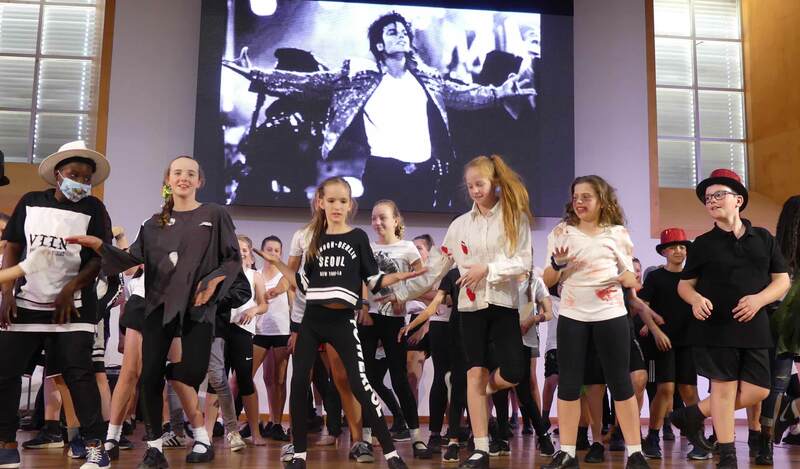 Year 6s paid tribute to the late Michael Jackson with a medley of his songs and dance routines, followed by Year 7s, who put a modern twist on traditional Christmas carols. Year 8 spoke of their History studies and what they had learnt in the subject using some very impressive role-playing and Year 9s reminisced with a selection of photographs of different events of their school year in 2018. The many student achievers were also presented with their awards. This year, there was a record for the number of students receiving an award. 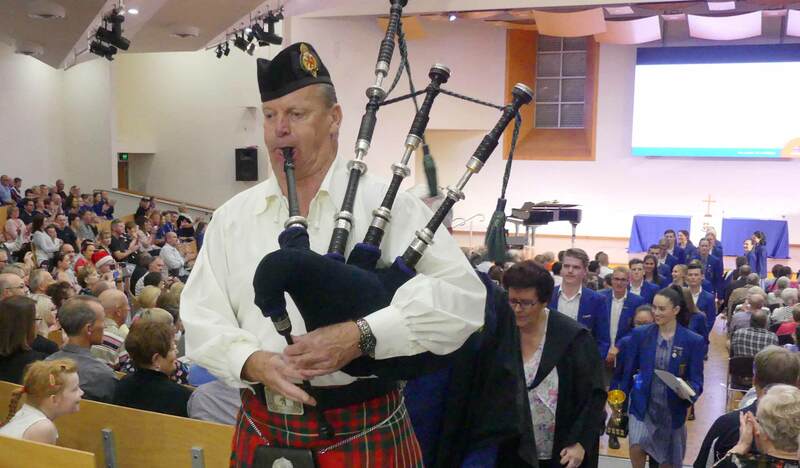 The Senior School Thanksgiving Service was a fitting send-off for the graduating class, as well as for Mr Jackson as he commences his retirement. It was also an opportunity to celebrate the academic, sporting, musical and service achievements of the Senior School students. Congratulations to all the award winners on their success and for the way in which they conducted themselves throughout such a formal occasion. Thank you to all the staff, students, family and friends who attended and shared in such a memorable occasion. 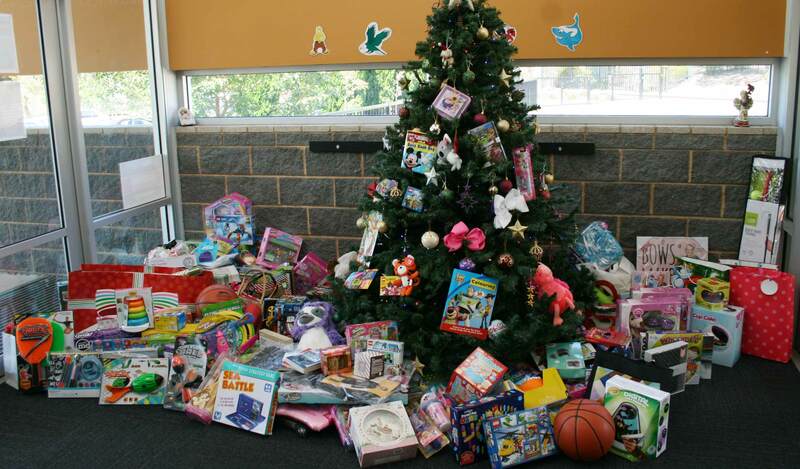 Thank you to all the Pedare Community who have again, very generously donated gifts for our College charity Anglicare SA. This year, the Middle & Senior School Catford Library combined their gifts with the Junior School’s donations and presented them to Anglicare SA at an assembly held on Thursday 6 December. Your wonderful support is most appreciated. Registration for 2020 Academic Scholarships are now open to both new enrolments and current students and awarded following the ACER examinations. The value of the scholarships is up to 50% tuition fee remission with Scholarships being reviewed on an annual basis to monitor the student’s continuing performance. It is expected that recipients will complete their schooling at Pedare. The ACER scholarship examination will be held at Pedare Christian College, 12-30 Surrey Farm Drive, Golden Grove on Saturday, 9 February, 2019. Online registrations are now open and the closing date for registrations is Thursday 24 January 2019. The fee to sit the scholarship test is $110. For students in Years 5 or 6 in 2018, for Year 7 or 8 in 2020, please apply for a Level 1 Scholarship Test. Please note that for all scholarships and bursaries the other College charges, such as the Resource Fee, Camp and eLearning Levy are to be met by the candidates’ parents/caregivers. 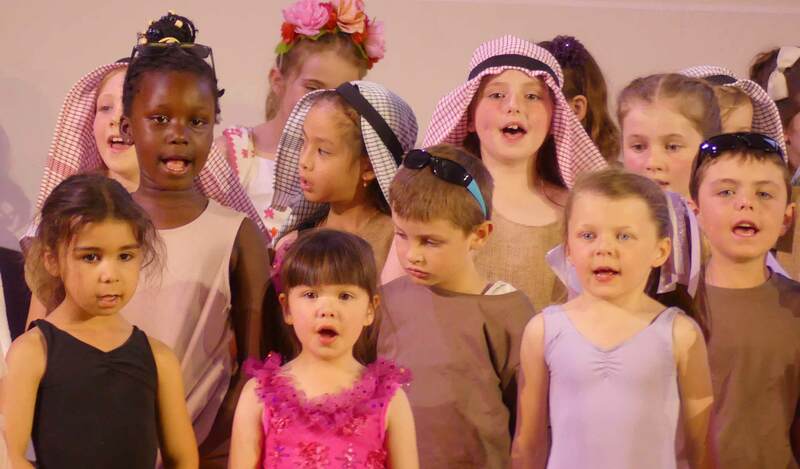 What a wonderful way to end the year, with the Junior Primary Nativity Musical last Wednesday night. “Lights, Camel, Action!” saw the traditional Nativity characters dance their way through the re-telling of Christ’s birth. 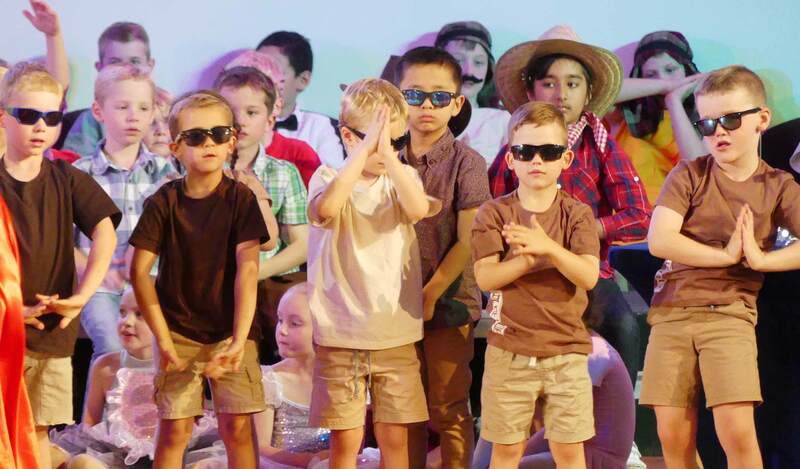 With a judging panel watching their every move, characters line-danced, did ballet, discoed, tangoed, hand jived and funky danced their way to success – although the grumpy Donkey was a little hard to impress at times. 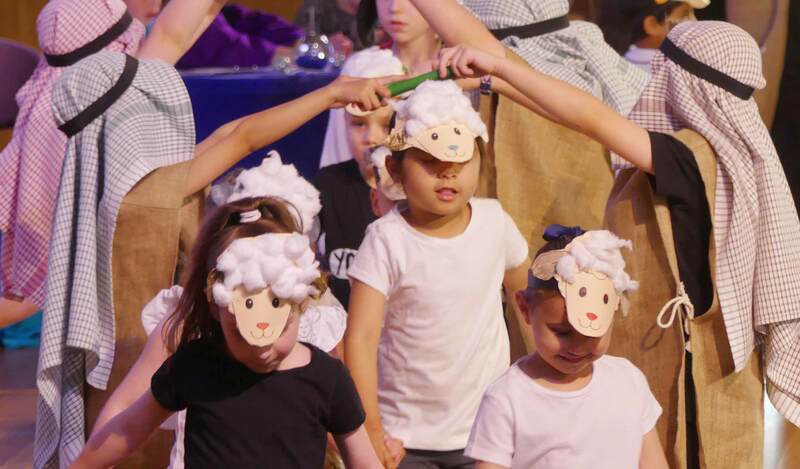 Year 2s rose to the challenge of leading the acting and dancing and were wonderfully supported by the Reception Ready, Reception and Year 1 classes. 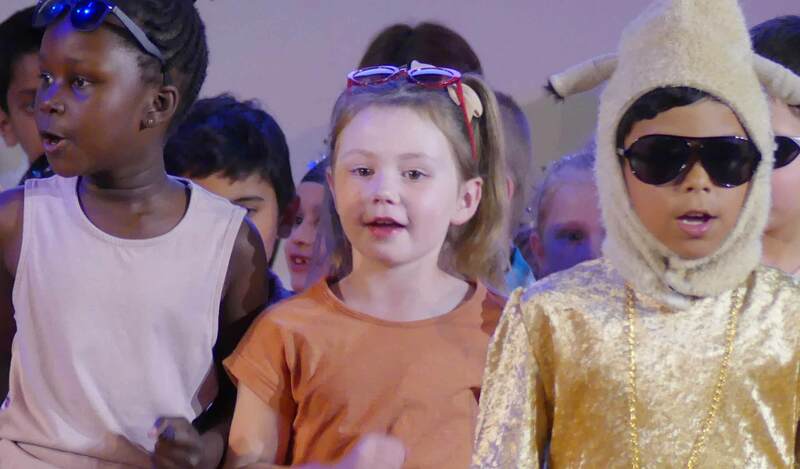 It was certainly a groovy re-telling of the Nativity by Pedare’s youngest students. 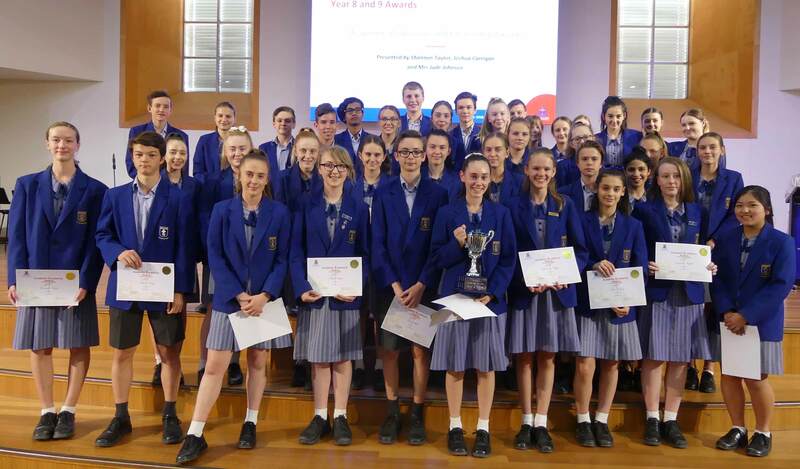 Congratulations to the following Middle & Senior School students on being presented with awards at their Thanksgiving services. 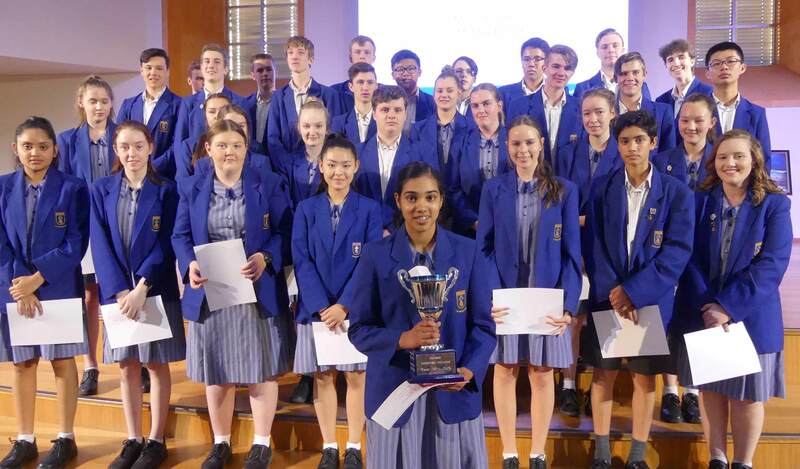 Special congratulations to the Dux from each year level: Grace Collins, Year 6, Gabrielle Smith, Year 7, Jenna Robertson, Year 8, Mia Furlan, Year 9, Soniya Panakkal, Year 10 and Jack Hynds, Year 11. 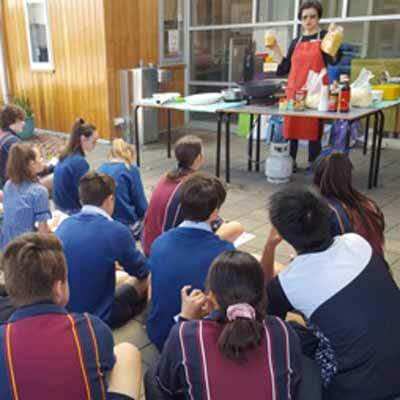 In Week 7 this term, Years 7 and 9 Chinese students concluded the year by making Chinese Hokkien noodles (chao mian) in Chinese Class, they also learnt about Chinese cuisine from different regions, and how climate has affected the food they eat. Many students are surprised to hear that some regions in China do not eat rice as their staple food as they prefer “noodles”(miantiao). 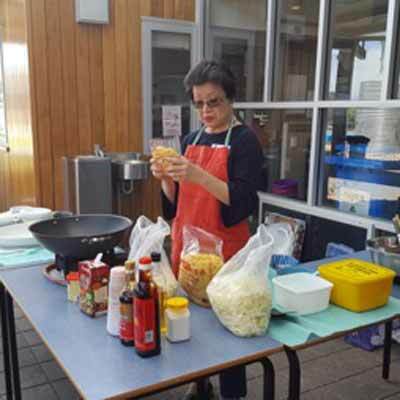 We were fortunate to have Master chef, Poh Ling Yeow’s mother, Mrs Christina Yeow and her aunty Ms Kim Toh, donating their time and experience to teach students how to prepare a meal. 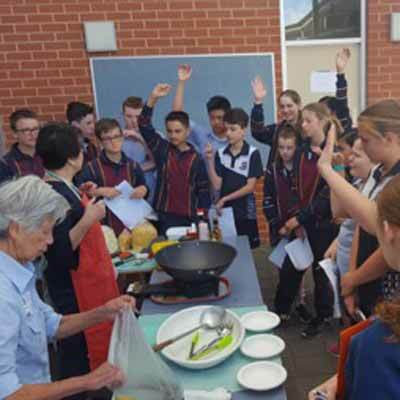 Students greatly enjoyed this opportunity to celebrate, cook and eat food they had made themselves. This semester, Stage 1 Business & Enterprise class have used the value proposition canvas to propose solutions to problems they have identified in the College community. One small group of students investigated the provision of drinking water in the Senior School. They then consulted with a range of staff and students and presented their proposed solution to Mr Mark Watson (College Business Manager) and Mr Lindsay Jackson (College Deputy Principal). Mr Watson and Mr Jackson provided valuable feedback to the students on their presentation skills, the research undertaken and the proposed solution, allowing students to further refine and reflect on their problem-solving process. 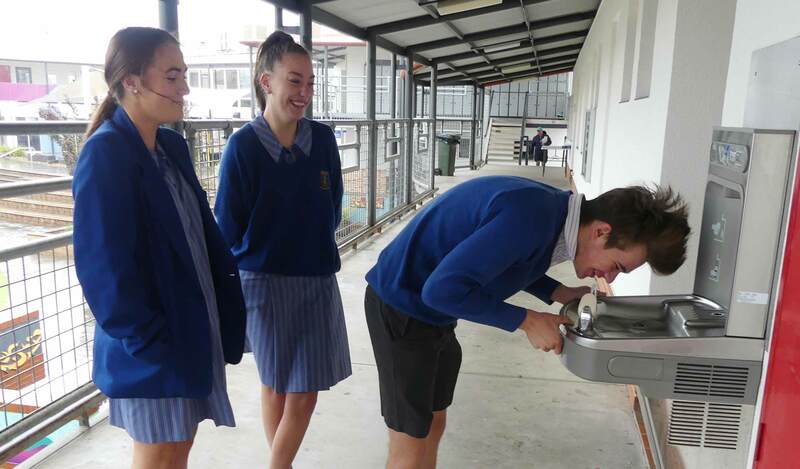 The installation of new drinking water fountains across the Senior School is currently being finalised, and will be fully operational for the start of the 2019 school year. 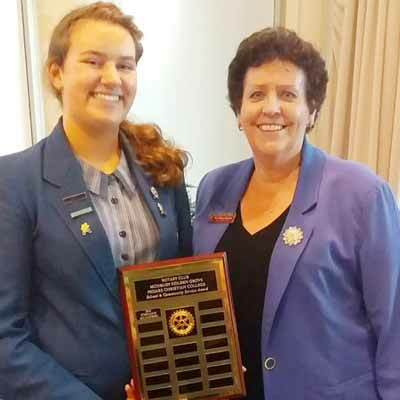 Congratulation to Stephanie Milanowski, Class of 2018, who has recently been announced as joint district winner of the Modbury/Golden Grove Rotary Club Community Service Award. A well-deserved recognition of Stephanie’s service to the College and to the wider community, in particular, the Cancer Council and the Girl Guides. 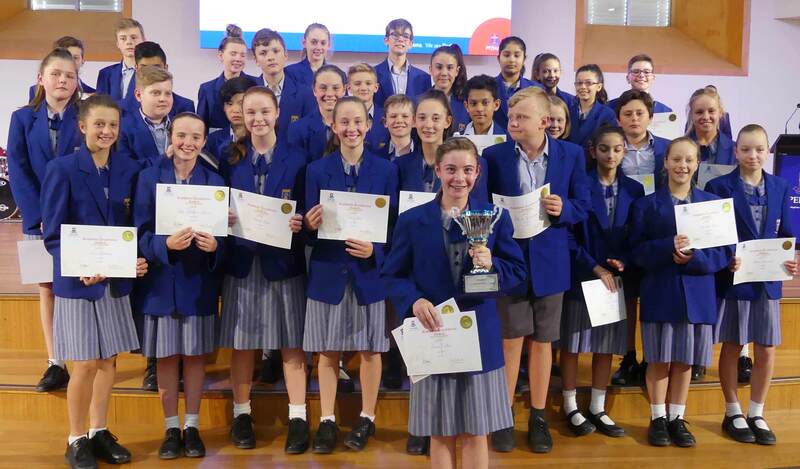 The Annual South Australian Chinese Language Awards, which recognise excellence in Chinese language ability and diligent effort throughout the year, were held at Elder Hall, University of Adelaide on Friday 23 November. 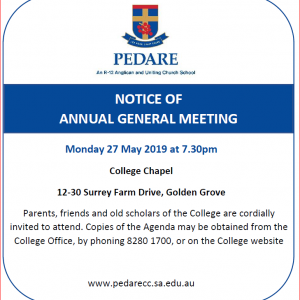 This year, two Pedare Christian College students were nominated to receive an award for their outstanding efforts in 2018. 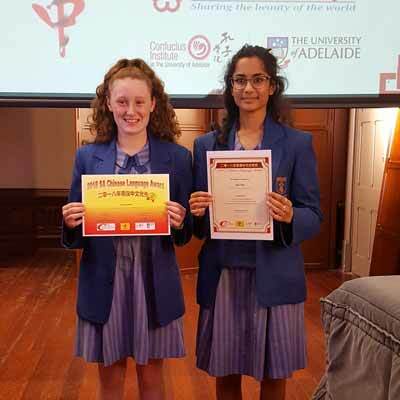 Maya McInnes, Year 7 and Aavi Puri, Year 11, have excelled in Chinese throughout 2018, demonstrating exceptional language performance, attitude and effort. 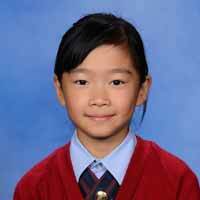 Aavi also represented South Australia schools to compete in the “National Chinese Competition (Hanyu Qiao). They were presented with a certificate and a small gift in recognition of their achievement. Much to everybody’s delight Aavi Puri later sung “dang ni – 当你” (When you are…) in Chinese. 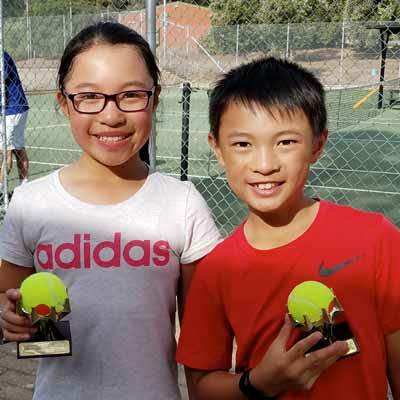 Congratulations to Keziah Chung, Year 5, and Hiphrany Chung, Year 3, who recently participated in the Tea Tree Gully Tennis Tournament and won the Orange Ball Pairs Premiers. Well done Keziah and Hiphrany. 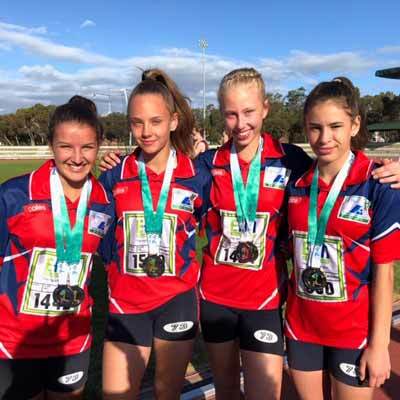 Congratulation to Teagan Murdey-Green, Year 9, who recently was awarded a Gold medal together with her Golden Grove Little Athletics team at Santos Stadium for the U15 Girls 200m and a Silver in the 100m relay event. 2018 has been a busy yet successful year of sport at Pedare. The College competed in an extensive range of activities at a number of local and state-wide events. 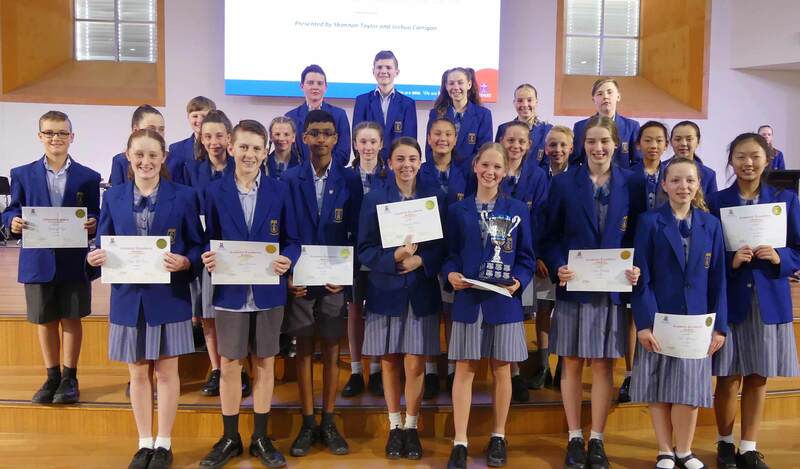 The annual Winter Anglican Cup between Pedare, Pulteney Grammar, St Johns Grammar and Woodcroft College was held once again at Pulteney Grammar in Term 2. There were some fantastic team results on the day. 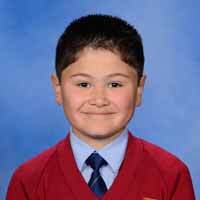 Our AFL Footballers went through undefeated, including a heart-stopping one-point win against Pulteney. 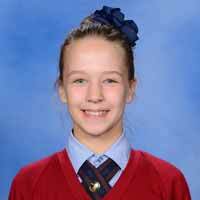 The Netball team won two of three games, only falling just short against Pulteney in their last game. Each year, we also award a perpetual trophy to a boys and girls winter sports team and a girls and boys summer sports team that have had particularly impressive seasons. Code Camp is thrilled to return to Pedare Christian College during the Summer School Holidays to teach your child how to code or help them continue on their coding journey, so they can build their very own iPhone or Android apps! 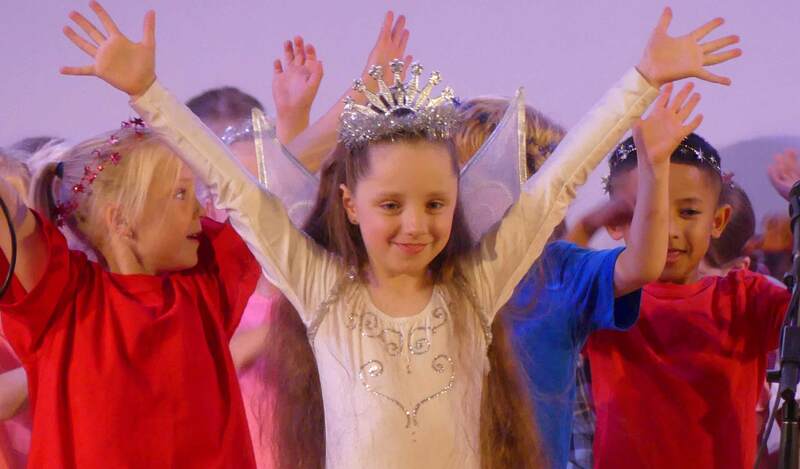 We will be offering a mixture of Camps these holidays to cater for students in Years 2 to 7. Camps will take place from 7 – 9 January 2019 and bookings are now open via this link: www.codecamp.com.au/pedare To view the flyer for more information please click here. Out the front of the church from 1 – 31 December 8:30-10:00pm. 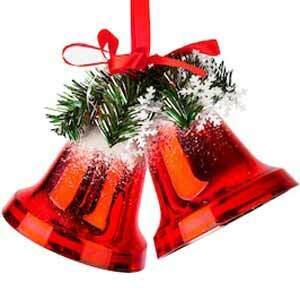 See the churchyard light up and the events of Christmas come alight. Look into the stable window and watch short movies about the true meaning of Christmas. See the Perseverance Rd neighbourhood sparkle and glow with giant Nativity figures along the street.